IT’S MORE ‘Snakes, Trains and Automobiles’ than ‘Snakes on a Plane’ after a 20 inch cobra escaped from New York’s Bronx Zoo, and decided to tell the world about its adventures. The snake has more celebrity followers than it can shake its tail at, with Ellen DeGeneres offering sightseeing advice, and Steve Martin claiming to have received a call from the cobra. The Bronx Zoo is calling the scaly tweeter a fraud, claiming that the missing snake is most likely to be hiding in the bowels of the reptile house, which was closed on Monday following the cobra’s disappearance. However, with warnings that it could take weeks to find it, who knows where it could end up? Here’s hoping Indiana Jones and his torch don’t find it first. 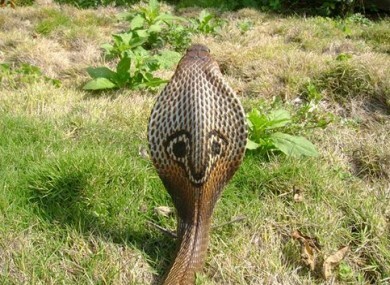 Email “Escaped cobra goes sightseeing, and tweeting, in New York”. Feedback on “Escaped cobra goes sightseeing, and tweeting, in New York”.